Department of Art students will exhibit their work in the 3-person show, "Lamar University: Drawing and Painting the Human Figure," at Galeria del Norte in the Grant Fine Arts Center on the campus of San Jacinto Community College North in Houston. The show runs March 11 through April 8, with an opening reception on March 11 from 6 to 8 p.m.
LU student artists participating in the show are Grace Chadwick, specializing in painting, from Port Arthur; Travis Walthall, drawing, Lumberton; and Mary Wilbur, drawing, Beaumont. "This exhibition will include artwork by three of our strongest students currently earning a BFA in Studio Art," said Christopher Troutman, assistant professor of art at LU. 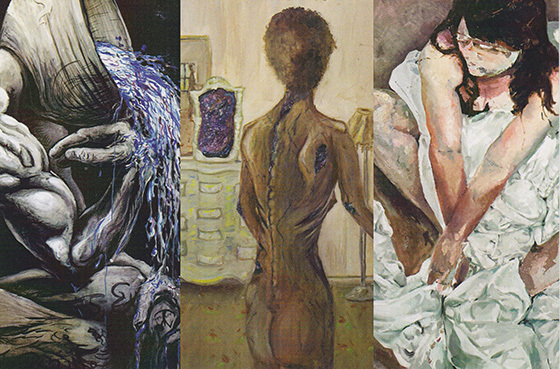 "Their artwork demonstrates their technical ability as well as their ability to create and convey unique content and ideas through the human figure, composition and their use of a variety of materials." Troutman is already making plans with Joe Clark, the director of the Galeria del Norte, for future exhibitions featuring LU students. “I am hopeful that our collaboration on this exhibition will spark the interest of San Jacinto students in attending Lamar University,” said Troutman. “We are planning future exhibitions that focus on other mediums to display the wide variety of artwork created by students in the Department of Art at Lamar University." For more information about the Department of Art, call 409-880-8141 or visit lamar.edu/art.